SKT Themes is a WordPress themes Marketplace. 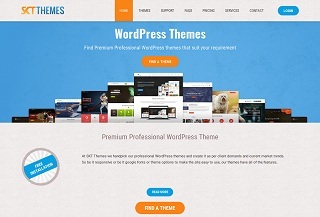 It Provides numerous WP Free and Paid Themes which are all GPL Licensed. All themes are responsive and easy to use also can be used on any device. They Provide complete support and assistance with the theme.